Love Bug Living: Happy Birthday to One Artsy Mama! Happy Birthday to One Artsy Mama! 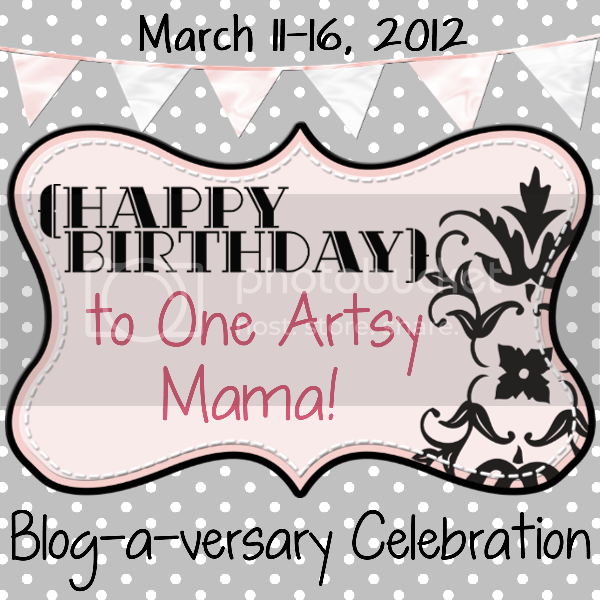 I am so excited to wish One Artsy Mama a big Happy 1st Birthday and wishes for many great birthdays to come! I started my blog less than 6 months ago without a real clue as to what I was doing. I just knew I wanted to share the craft ideas and gifts I love to make. I've had a great time figuring it all out. I met Amy when she offered to do a guest post on my site. I took advantage and asked her to check out my blog and offer any suggestions she might have. She was so sweet to take the time to look it over and give me some ideas. It was really great to see how bloggers can be so helpful and really have their own community! Today One Artsy Mama is having a giveaway for this set of chrysanthemum cab earrings from Love Bug Living! As a matter of fact, she is having a ton of giveaways for all sorts of things. Head on over to One Artsy Mama to enter! Thank you Amy for being such a good bloggie friend and Congrats to you and One Artsy Mama on your first year!